We all know that a good plate of green chile enchiladas will have us sweating at the table, that same diaphoretic action helps us to detoxify via the skin and cool us down quicker than a swamp cooler. In the hot, summer desert people found it invaluable as a food and preservative of food, when eaten the release of water through the skin provides much needed relief from sweltering temperatures. - Anti-aging in creams to stimulate collagen and elastin growth for skin regeneration, moisturizing, and cellular metabolism. - Acne control in topicals to reduce breakouts and repair blemishes. - Detoxification as it removes metabolic wastes via the liver and through the skin via perspiration, It boosts nutrient uptake in the skin and improves oxygen distribution as it moves blood evenly throughout the whole body. - It is widely used in cellulite removing products as it moves oxygen and removes waste products while boosting metabolism at the cellular level. - As a pain reliever it is highly regarded for its ability to reduce the signals to the brain known as substance P which helps to relieve nervous system distress. - To treat psoriasis it has qualities to reduce skin inflammation and encourage cell renewal. 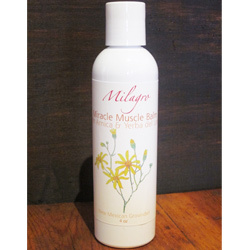 At Milagro Herbs we formulate products with fresh cayenne extracts such as Miracle Muscle Balm with Arnica, Hot Lava Balm for sore muscles, and our classic Immune System formulation to boost white blood cell counts and fight bacterial infections. These 3 items are now on sale this December! Herbal Certification Course Starts April 19, 2017. We are re-designing our upcoming Foundations of Herbal Medicine Program to include ongoing intensives and laboratory studies in medicine making, therapeutics, diagnostics, field botany, and more. Contact Tomas at 505-820-6321 for more information and applications or get more details at www.milagroschoolofherbalmedicine.com. Our focus has always been hands-on, practical, informative, bioregional, multicultural,and holistic. 250 hours of pure herb learning you take anywhere in the world. We need more herbalists and community health workers as our modern medical system continues to become unaffordable, erratic, and irresponsible. Become a herbalist, a skill you can use for a lifetime. Shamanism has always been central to my life. I wrote a masters thesis about shamanism, but in brief, a shaman can be defined as “one who sees in the dark” or one who sees and feels the unseen and uses this information to navigate around obstacles and to help heal community or clients. Compassionate and loving spirit guides and power animals are central to the shaman’s power. And herbalism, I learned, can also play a central role for a healing shaman. My first experiences in herbalism were back in New England--in Maine. By April, most of Maine is emerald green and the sun shines frequently. Eventually, slowly, by June the green countryside is aglow with fields of yellow dandelion and daisies and buttercups-- by July the green is accentuated with purple lilacs, lupine, violets, red clover. Wild-crafting in Maine in the spring is incomparable, I think. But my herbal apprenticeship began in March (known as mud season in Maine). Deep pot holes, signs that swung violently from rusted chains, howling wind, and a dozen shades of gray were the backdrop to our first ride in to meet our teacher - the four of us - in an old Toyota. The house was a tar paper shack in the middle of a sparely populated town in rural in-land Maine. Running water for the “class” was a stream behind the house and heat came from small black woodstove set upon a hard-packed dirt floor. We huddled around this hot stove, feigning off the bitter cold of March rain and wind - our hands raw and red - from digging in the cold black soil of her garden of tangled dead weeds. For some reason, I had decided not to participate in this workshop a week prior. But shamanism had woven itself into herbalism even before the class had begun. I dreamed I was a spirit looking down on a round table on which six beautiful bowls had been set and each held a magical brew. Six places had been set but only five people attended the dinner. My guides had said in the dream “This place had been reserved for you”. I woke up the next morning and scrambled to sign up again. Indeed, I had been the sixth person in the first class of Blessed Maine Herbs and it had been a life-changing event. Despite the ruggedness of this apprenticeship (or probably because of it) the experience connected me in a very deep way to the energies of the earth and of herbs. It was exactly what I needed. The apprenticeship was also shamanic. We wildcrafted and tinctured and planted by the cycle of the moon and the high holidays and solstices. We gathered St. John’s in the fields of Maine only by moonlight at summer solstice. Herbs began to speak to me in a somewhat similar way as my power animals, and I began to understand the spiritual nature of their healing powers. At the “root” of each power was an energy I could only define as love. At times their spirits spoke of powers I read about in botanical books, but often they had their own voice and special powers beyond what had been recorded scientifically. I learned how important it was for people to honor their intuition when they are drawn to a certain plant for healing. The plant is really speaking to you through the spirit airwaves! When I moved west ten years ago to Santa Fe my primary teacher for shamanic energy clearing was an herbalist in Colorado. She taught me how to choose a bundle of herbs based on their willingness to pull out negativity from a client. I worked with the spirit of the herb and the physical body of the plant in a collaboration of healing. I often chose bundles of mugwort, or pine, or motherwort; basil, sage, or St John’s Wort. I felt such gratitude to these herbs. It was awesome to see with my third eye, the disease or discomfort of a client, leaving the body and entering the plant. It was also quite humbling. I continue to explore the spiritual nature of herbs (and the physical, scientific aspect - especially since I have been at Milagro). There are plant shamans who receive their primary power from plant allies. Most often, shamans work with a combination of power animals, plant spirits, helping Middle World Spirits, ancestors, Ascended Masters, and religious or spiritual icons specific to their culture. 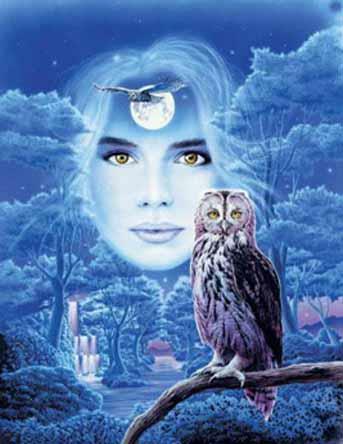 The important criteria with plant or animals spirits, is that they are loving and compassionate. I am a double Capricorn, born in January - the Snow Goose moon - according to Native American legend. Shedding what feels like the intensity of the physical world that is dominate in spring and summer, I feel a sense of freedom in the winter. I feel my spirit is less confined by the dressings of incarnation. Yet, for many people, the deep winter is a perfect opportunity to connect with the spirits of plants. It is very simple, really. Put the leaf of sage or motherwort or mugwort (or any plant you choose) on an altar and light a candle. Ask your own power animals to bring your sub soul to meet the spirit of this plant. Determine beforehand a sacred place in non-ordinary reality (maybe a pine forest aside a stream or a hill overlooking the ocean) and ask the spirit of the plant to meet with you at that location. You may feel, hear, see, or sense the energy of the plant. You can then ask questions. Be open to various way of receiving information, both during the mediation and afterwards as you go about your life. When you feel the session is over, thank the plant, and return to your body in the same manner you left. It may be good, at that point, to create a medicine bag and carry a piece of that plant with you, to show the plant you honor its spirit. Use your own intuition as to how to communicate and how to honor plant spirits. Journeying to meet with plant will open you up a whole new beautiful, colorful world - even in the darkest nights of winter. We have fresh Osha root, Osha tincture, Osha Honey, and Cherry Osha Cough Syrup. If you stock up now you won't have to go out in the cold. We have dried and cleaned all that we need. Wheh! Walk with Dr. Enos as he harvested Osha root the sustainable way this past October. Future features include educational walks in the woods talking to our most famous medicinals, Stay Tuned!